Who doesn't enjoy a good old fashioned hay ride? Actually, we take that back… haunted hay rides aren't for everyone. Hay Rides have been around for ages, but are sweeping just west of Chicago this Fall. If you're in for a good scare for Halloween YEAR, than search for one below. Sit back, buckle up, and hope you're not too much of a scaredy cat. 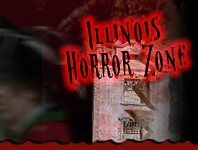 Not everyone can handle a good scare, but those who can should check out some of Illinois' well-established haunted hay rides that are only around for a good scare in the Fall.